See below for some reviews from our many satisfied clients who have had a personalised custom bike fitting in Perth or Busselton. “Recently, prior to the 2019 UCI Track Cycling World Championships, I had the very good fortune of meeting Adrian Spinelli of Perth Bike Fit. What at first I thought would be a very routine check up and analysis of my aches and pains from a couple months on the the road turned into one of the most in depth and extensive looks in to my bio mechanics on and off the bike that I have ever had in my 10+ years as a professional cyclist. 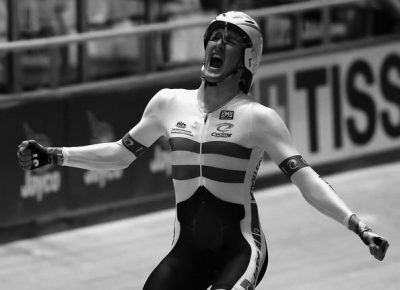 Adrian’s enthusiasm and passion for the sport, and his drive to help improve an athlete’s performance is extraordinary. People like Adrian are hard to find and his attention to detail was incredible. 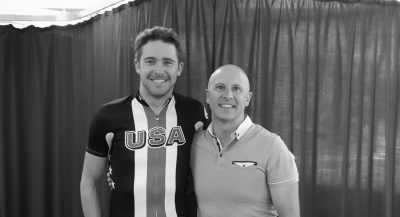 He has a unique, two-part approach as he is both a physiotherapist and a bike fit expert and this gave me a massive amount confidence in his ability to fit me correctly. “I have worked with Adrian since 2010. His attention to detail is something I’ve always trusted. The way we make changes always has an “in the real world approach”. He looks at each persons body restrictions and tries to maximise performance within each persons physical restraints. Every off season I come back to Perth and we work to try and get the best out of my body. I can do 25-30000km on my bike every year so having a perfect position is crucial and I trust Adrian has my best interest at heart. Luke Durbridge – Professional Road Cyclist with Mitchelton-SCOTT. Current Australian National Time Trial Champion. 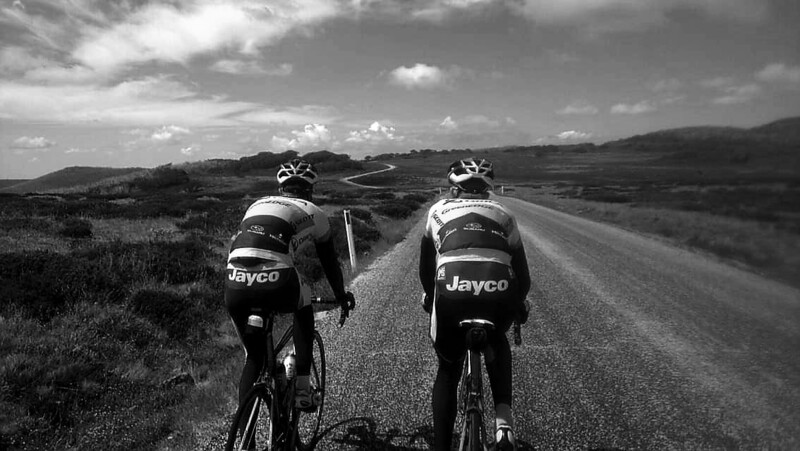 “I’ve been fortunate enough to have known Adrian for nearly 10 years, both as a fellow physiotherapist and also in my capacity as CEO of Premax which sponsors and supplies many high level cycling teams. “A cycling friend referred me to Adrian when I was suffering from pain in my glutes. Adrian pinpointed the problem and showed me some exercises to do. After about a week of doing the exercises the pain was gone. At the follow-up appointment Adrian checked to make sure I was doing the exercises correctly and made a couple of suggestions. I have been pain free since. Adrian also did a bike fit for me. He was very thorough taking measurements and filming me while riding my bike on his bike stand. When I bought a new bike shortly after, the bike shop was able to take the measurements and my new bike fit me perfectly with absolutely no adjustments. Adrian is very knowledgeable but also very personable and a really nice guy. “As a professional cyclist for over 10 years, racing and training thousands of kilometres a year, I needed to make sure my equipment and body were cohesively working the best they could together. Adrian at Perth Bike Fit made sure that my body composition aligned perfectly to my bike set up, and with his expert advice and experience as an avid cyclist and physiotherapist, I was very fortunate to be kept in fantastic form on the bike to avoid unnecessary injuries. “To say Adrian went above and beyond would be an understatement. Not only did he spend 2 hours with me getting the fit right (of which the last 45 minutes were after his listed closing time), he even gave me the saddle off his own bike to trial for the week. 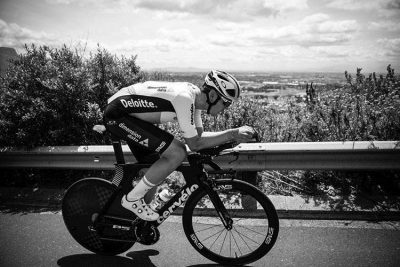 “The thought process, the explanation and crucial execution by Adrian has had me working alongside him consistently since I began cycling, in particular whilst I have turned professional and adjusted to climbing, aerodynamic road and Time Trial bikes. “Being new to the whole road cycling world I really got a lot out of my bike fit with Adrian. He’s level of knowledge, eye for detail and passion for cycling made for an excellent experience. As well as finding a comfortable position for me on my bike, he also took time to explain different aspects of the fit as well providing me with general tips and advice regarding bike maintenance and accessories. “I had a fantastic 2 hours with Adrian getting my bike fitted. After a thorough assessment, not only did he work on my position on the bike, he also ensured my saddle was the correct fit, adjusted my cleats, spent time working on my sore back and provided me with a conditioning and stretching programme. It was a great experience, Adrian is a really great guy with a lovely manner. I would thoroughly recommend Adrian. “My bike riding is going so well now since my bike fit with Adrian . It was the best money I have ever spent as I know I will be able to ride for many years to come despite a chronic medical condition that might stop myself or others. Adrian really listened and took in my concerns and limitations, along with considering my goals into the future. He explained everything as he went and worked meticulously, viewing and reviewing video footage to ensure he was making the correct modifications. He was also able to offer some great exercises strategies to improve my strength. I can’t put a price on being able to comfortably ride well into the future as this safeguards my musculoskeletal system, my cardiac health and my emotional and mental well being . Without this I too could become compromised like so many people with chronic medical conditions can do. I am determined not to be that person and Adrian has helped me immensely to be able to look forward to an active and healthy future. The freedom of cycling for me also affords such peace of mind as I take in the beautiful natural surrounds around me – my kind of mindfulness . All in all I am so grateful for the chance to have been able to tap into Adrian’s expertise. It was exactly what I was looking to do and I am very happy with the differences resulting from my bike fit and the opportunities for my future health and enjoyment that cycling can afford me. Adrian’s attention to detail was second to none – amazing. He was exacting and totally committed to getting my bikes fitting me correctly. He makes a bike fit an enjoyable conversation as well. He has so much expertise and is the right person to bring it all together with his physio background, his mechanical aptitude and his love for cycling. I would highly recommend him to everyone and I am now actively encouraging the benefits of a bike fit. I recently last week had to brake heavily to miss two kangaroos . I was so balanced on my bike that I was able to stop in time with the kangaroos ending up in front of my bike and no sign of me falling off. I do feel very balanced on my bike and it is like I am at one with my bike. Thankyou so much Adrian. “After seeing Adrian’s work with a number of local professional cyclists I sought his assistance to analyse my time trial position. As an elite athlete with a technical tertiary education I was very pleased with direct and relevant feedback. We were able to optimise my bike for comfort (critical for multisport) and speed. “When it comes to experience working with professional cyclists, Adrian Spinelli is second to none. Having worked in cohesion with Adrian the past few seasons he has helped not only in maximising performance but also in injury management and overall injury prevention.